SEPTA wanted to make sure Eagles fans got home safe on Sunday with free ride. 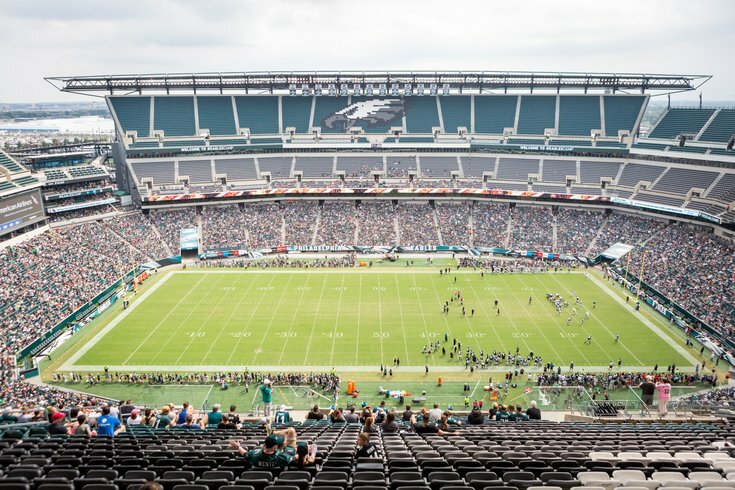 SEPTA looked to keep Eagles fans safe with a free ride home from this Sunday’s Eagles vs. Viking game that kicked off at 4:25 pm. In partnership with Jefferson Health, SEPTA gave football fans a ride home free of charge from NRG station between the hours of 6:30 pm. until 10:30 pm. The free ride home program was created with safety in mind, but also to make fans happy. "It's called the Free Rides Home Program," said SEPTA's Carla Showell-Lee. "It's on the Broad Street Line. It's between the Eagles and Vikings game on Sunday, October 7, and we're offering free rides from 6:30 p.m. to 10:30 p.m. right from NRG Station." "It's important because we always want to make sure our customers are offered a safe and convenient way for them to get home from the game," Showell-Lee said, "and we know our customers really love it." This is the third time this season SEPTA has given football fans a safe and free way home after the game wraps up. Back in September, fans also enjoyed the free ride home program twice following home games. Adding to perks for football fans, SEPTA also opened up 10 sports express trains on the Broad Street Line to their service for Sunday’s game day. The added trains left from Fern Rock Transportation Center, departing every 10 minutes between 1:35 to 3:35 p.m.